Twin City Subaru is Central Vermont's Source for everything for Subaru. 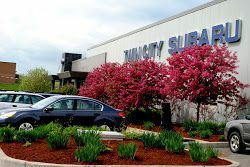 Visit our website at www.twincitysubaru.com for special discounts on new Subarus, used cars, service and parts! 96 times over the past 30 days.